water is very very important. but definitely during a fast). and helps you to not feel so hungry. It is my go to on the Fast. I always have it near me. It is never far when I Fast. went on a hike and got turned around and lost. We had to call a ranger to get us out. We were in dire straights. well past the point of thirsty. You are dehydrated and your body starts suffering to a huge degree. In the Spiritual, the same thing happens without Jesus. out of your heart flows rivers of living water. 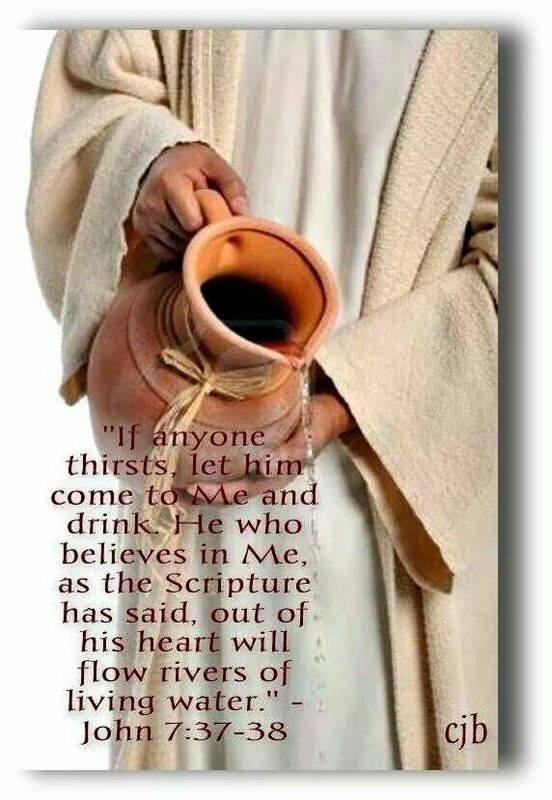 Your Spiritual thirst is satisfied in Jesus alone. Spend time in the Presence of Living Water. The only One that truly satisfies the thirsty soul. 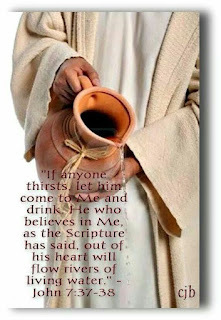 What are you trying to use to quench your Spiritual thirst? The Living Water is the Only Way to quench it.